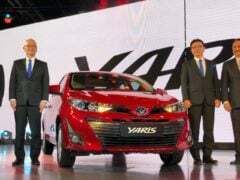 Toyota Kirloskar Motor, the Indian subsidiary of the Japanese auto giant, has finally unveiled the much-anticipated Toyota Yaris sedan at the Auto Expo 2018. 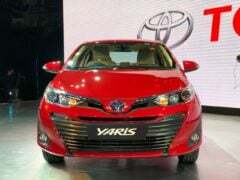 The new Yaris sedan is likely to launch in coming months and is expected to have a starting price of Rs 7 lakh when it goes on sale in India. 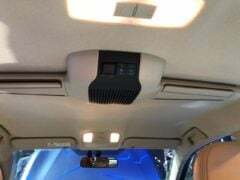 The new car will rival the likes of Honda City and Maruti Ciaz. The Yaris comes with many segment-leading features and a 1.5-litre petrol engine that offers a 7-speed CVT and a 6-speed manual transmission. 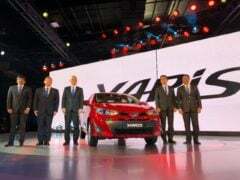 Currently, Toyota Kirloskar India has revealed information on just one engine option for the Yaris sedan. 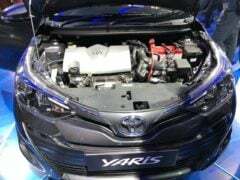 Powering the Toyota Yaris will be a 1.5-litre Petrol engine that comes with two transmission options- 7-speed CVT and 6-speed Manual Transmission. The CVT variant will also offer paddle-shifters and cruise control. 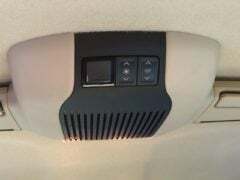 We will update you with details on the Diesle engine as soon as we get our hands on them. 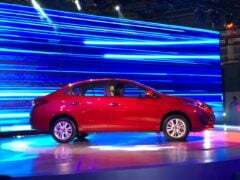 So, are you waiting for the Toyota Yaris India launch to take place? Share your views with us by commenting below. 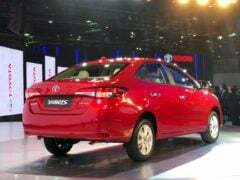 Also, stay tuned to Carbloginida for news updates on the launch of the Toyota Honda City rival in India.